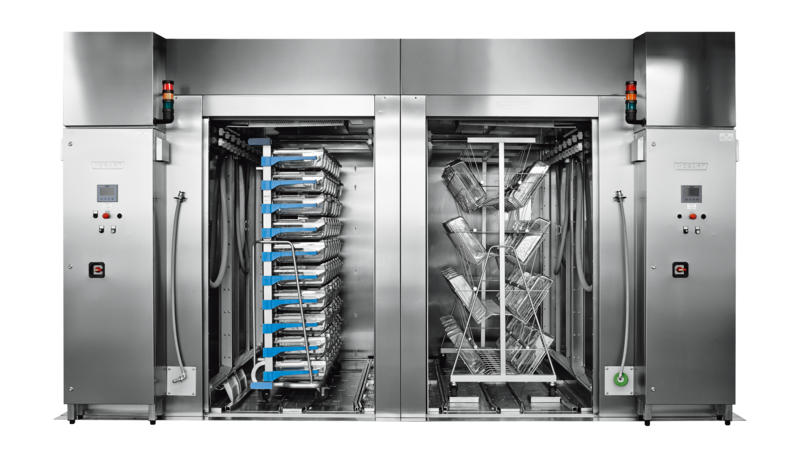 The cage and rack washer is the only cleaning system that permits machine cleaning of base frames and transport carriages in addition to cleaning cages. The system can be accessed and filled either via a floor ramp or directly on floor level. Thanks to innovative technology, the HOBART cage and rack washer offers absolute safety with respect to hygiene and process. The HOBART WWA cage and rack washer is checked at regular intervals in accordance to the specifications of AK-KAB for its cleaning, drying and decontamination performance.